Propsummit.com a Blade Runner Prop Community Forum BladeRunnerProps.comView topic - Small Labels on 2049 bottles...can you help? 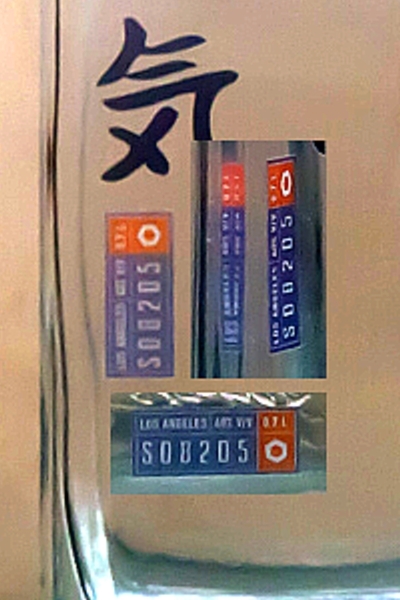 Small Labels on 2049 bottles...can you help? Posted: Thu Nov 23, 2017 5:40 am Post subject: Small Labels on 2049 bottles...can you help? 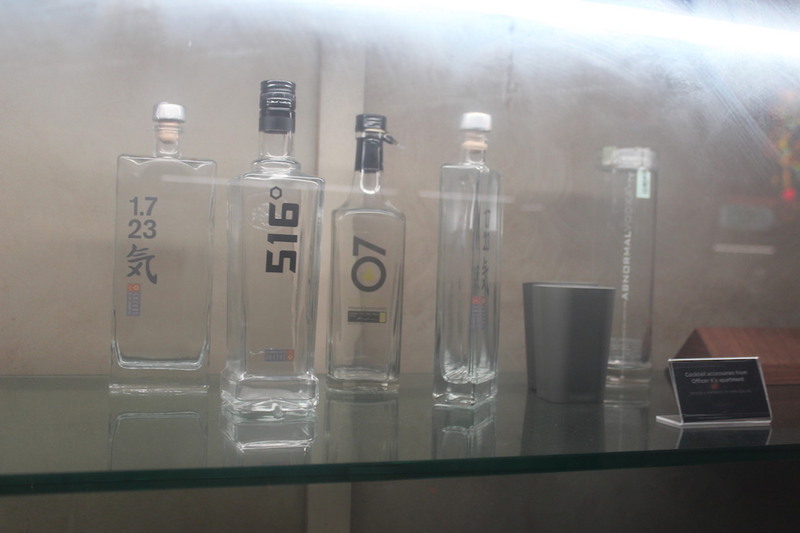 You see the blue/red label on the first two bottles? It's not clear enough to work out what it says to replicate this label properly. We feel it's a warning or brand label. In terms of what it could possibly say above those digits, what do you think? It could be in English, Japanese or even the sporadic use of Hindi-like writing that appears in 2049. Where did you get that from??? Very much appreciated. What have you used to enhance the image? So it is the 700ml! Nope, there is no 700ml SIZE bottle produced. "The good thing of this item[Genny 500ml] is that it looks 700ml but it is only 500ml." That's just the label. I've uncovered more information now, specifically where this retails with alcohol in it. Ah grand, looking forward to your outcome. An obscure Hungarian brandy uses the Genny 500ml bottle. This appears to be the origin. Ah fantastic! Is that actually using the Vetro elite bottle then? Yes. Or a remarkable coincidence. My name is ****** and I am the person in charge for the UK market for Vetroelite. Very well done, I confirm that the first bottle and the second to last is our Genny bottle. I would think it unlikely that BR2049 prop makers went to Vetroelite. They are more likely to have found the bottle in Budapest. I used a really old program called ArcSoft PhotoStudio 5 and just enlarged the image and increased the contrast and sharpness. I don't doubt you're correct white, since vetro only tend to supply in bulk it's likely that the brandy company just source the bottles from vetro. Brilliant work! Can't wait to finally have this bottle in my hands. "LOS ANGELES 40% V/V 0.7L". 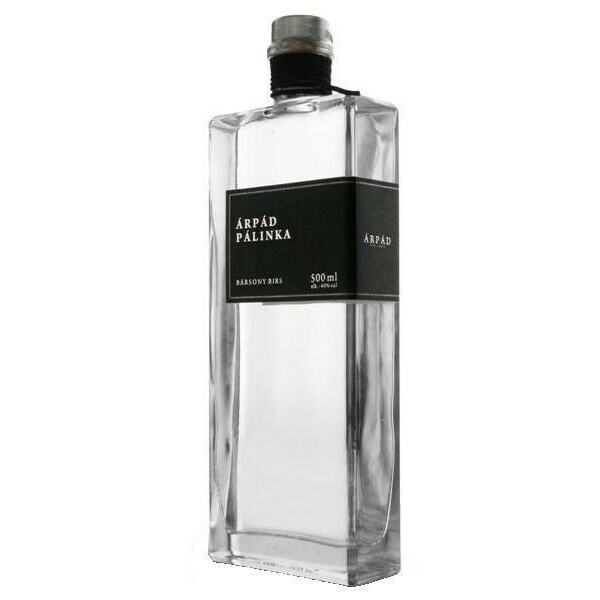 I found the Arpad Palinka as in the image shown half way up. Any chance to see how your label looks? Not yet. When it's perfected.